2008 Arima Sea Ranger This great little sportfishing machine is from a little known but quality manufacturer and has everything you need for some great time on the water. Her hull design offers a solid comfortable and dry ride in seas and her hard top keeps the elements out. Easily managed size with bigger boat features make this a very desirable fishing boat. 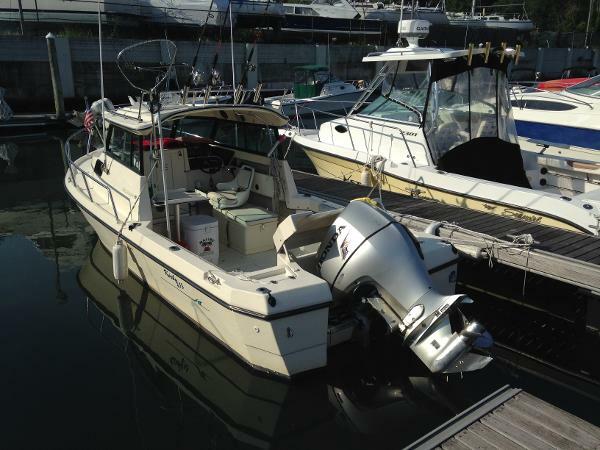 Please call our office to make an appointment to see this great three season boat.